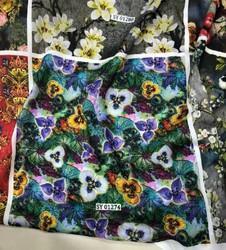 Manufacturer of a wide range of products which include organza digital printed fabrics, digital print garment fabric, digital printed fabric, georgette digital print fabric and digital blackout fabrics printing. Owing to our vast experience in the domain, we have gained proficiency in offering Fancy Garment Fabric.Features: Beautiful patterns Flawless finish Stylish & trendy. 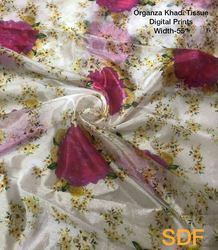 With enriched industrial experience and knowledge, we are providing a wide range of Georgette Digital Print Fabric. 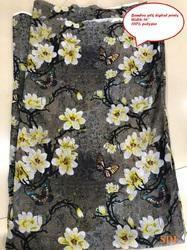 Offered fabric is designed by our experienced designers using premium grade Georgette fabric and high-end technology. 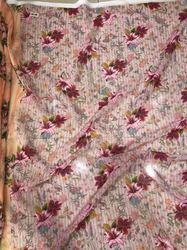 Available in wonderful colors and prints, our provided fabric is highly appreciated by our valuable clients. Apart from this, to avoid any flaws, this fabric is tested by our quality auditors against different quality parameters. 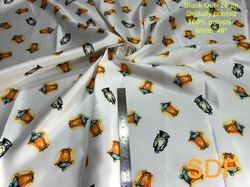 We are instrumental in offering a comprehensive range of Digital Blackout Fabrics Printing. These are rendered by our professionals according to the client’s demands. Together with this, offered services are highly credited for their promptness and reliability.